A Sunday Times bestseller - now with revised and expanded content on the exciting new science about the gut-brain link. Our gut is as important as our brain or heart, yet we know very little about how it works and many of us are too embarrassed to ask questions. 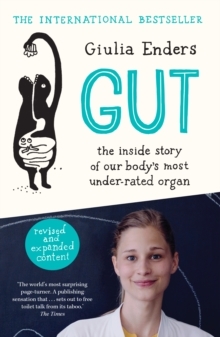 In Gut, Giulia Enders breaks this taboo, revealing the latest science on how much our digestive system has to offer. From our miraculous gut bacteria - which can play a part in obesity, allergies, depression and even Alzheimer's - to the best position to poo, this entertaining and informative health handbook shows that we can all benefit from getting to know the wondrous world of our inner workings.